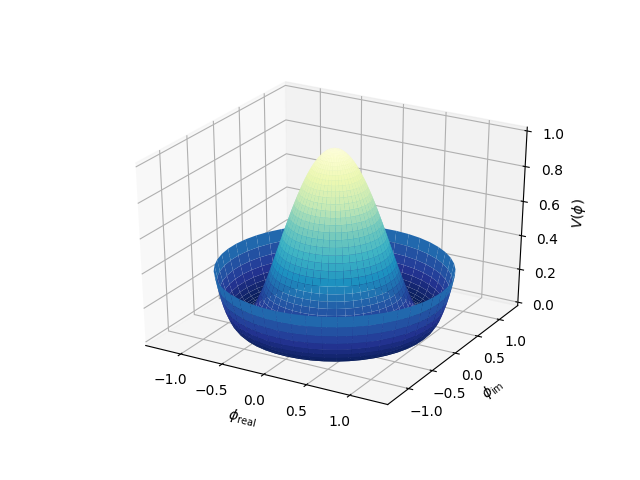 Demonstrates plotting a surface defined in polar coordinates. Uses the reversed version of the YlGnBu color map. Also demonstrates writing axis labels with latex math mode. Example contributed by Armin Moser. # Create the mesh in polar coordinates and compute corresponding Z. # Express the mesh in the cartesian system. # Tweak the limits and add latex math labels.